There’s nothing more frustrating that not being able to simply transfer files from your iPhone, iPad or iPod to your PC or Mac or vice versa. 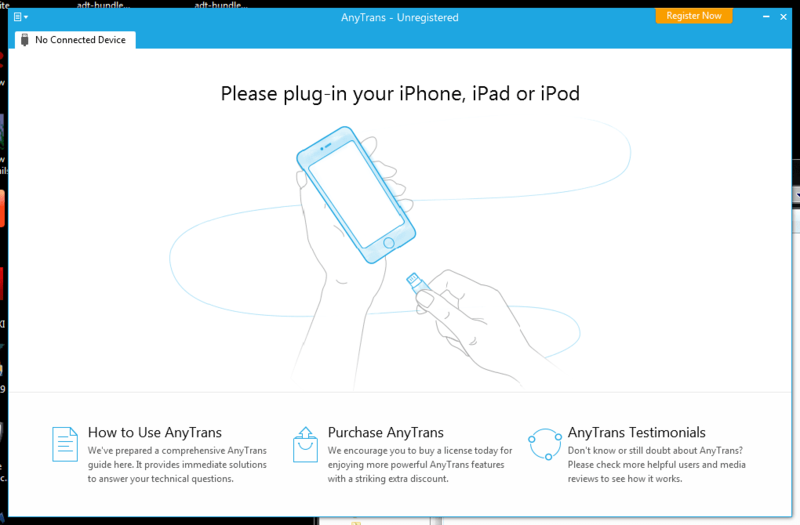 AnyTrans is a simple solution that makes it easy to transfer any kind of data stored on your iOS device to your PC or Mac. AnyTrans is simple to install and get going. The nice thing is there’s nothing to install on your iOS device – the client only needs to be installed on your PC or Mac. In fact, the only thing you have to do on your iPhone or iPad is confirm that the device is a Trusted Connection when you first connect it. 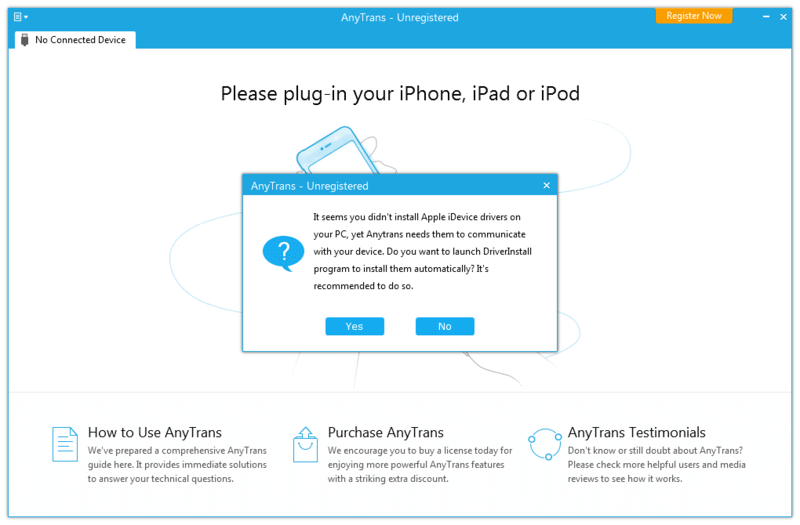 As soon as you connect your iOS device to your machine, AnyTrans automatically detects the type of device and gives you a variety of options. 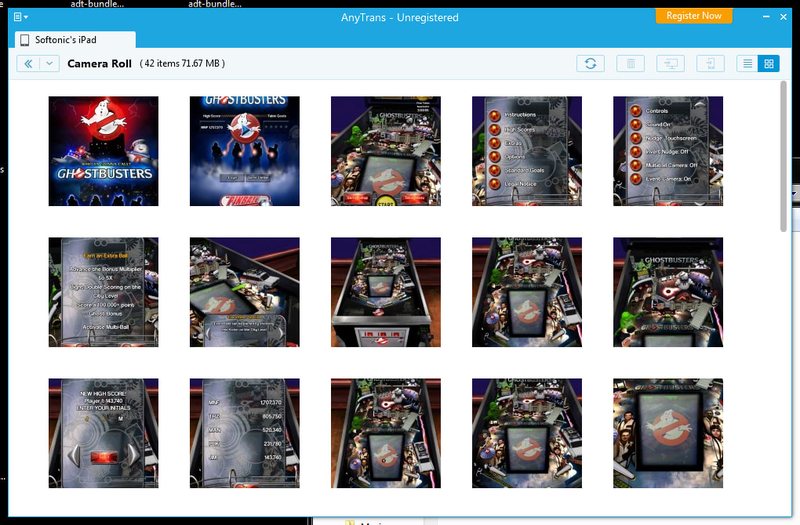 At a glance, it instantly displays all of the media files available on your device. From there, it’s simply a case of selecting the files you want to transfer, and clicking “Import” in the bottom right corner. Alternatively, you can just select “Import All” and it will import all media to your computer or iTunes library. Unfortunately, AnyTrans doesn’t work if your device is associated with iCloud. If you try to sync Contacts or iTunes for example, it automatically requests you to cancel the association with iCloud in order to continue. This is obviously quite annoying for iCloud users but if you’re not intending to use AnyTrans to sync files, it’s not a major problem. AnyTrans is more suited to those that just want to transfer files individually – something it does very quickly and efficiently. You do have the option to connect AnyTrans to your iCloud account but this is obviously something that most users should be very cautious about. Once connected, AnyTrans can access and download all of your iCloud data if you want it to. 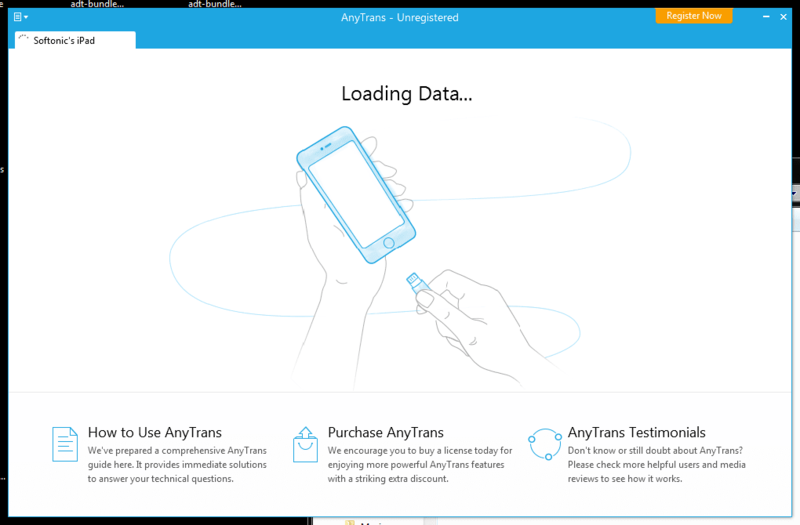 The overall user experience of AnyTrans is very good. The interface is uncluttered and looks particularly good on OS X. 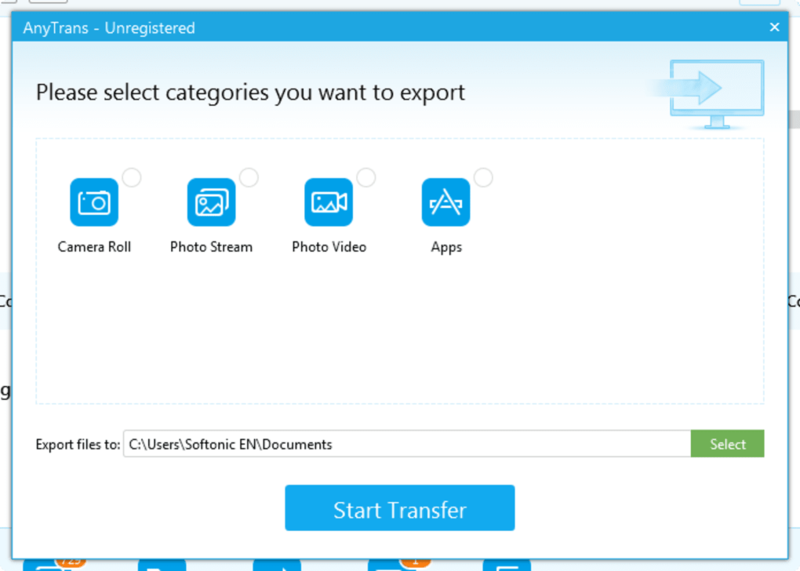 All of the main options are clearly laid out, and even those with little computer experience will have no problem manually importing and exporting files. 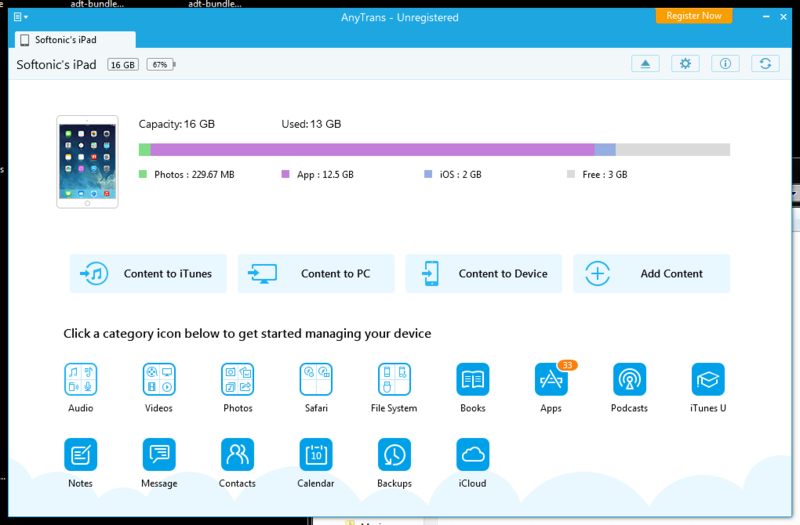 Especially for families in households with both Macs and PCs, AnyTrans provides an easy and stress-free way of transferring data between iOS devices and your computers. Transfers are really quick whether you’re moving across photos or videos, although obviously those using a Thunderbolt connection on Mac will enjoy faster transfer speeds. What AnyTrans is really useful for is transferring large video files that you want to watch on your iOS device which is particularly useful if you want to quickly transfer a film or TV show for watching on the move. AnyTrans automatically optimizes the resolution for iOS devices so that playback is smooth and in the highest resolution possible for your device. However, you can also manually select conversion formats, transcoding quality and other settings if you find the results are not what you expected. AnyTrans is an emphasized and complete Apple device content manager software. It gives both control and freedom over all users iOS data and files, including music, videos, photos, messages, books, Safari history, voicememo, etc., no matter the content is on an iPhone, or iTunes backup or even from iCloud. Make any videos perfectly fit on your Retina display, automatically - AnyTrans is one and the first solution that makes your iPhone capable of playing any video you have. Owning such an iOS file manager on your desktop, you are now free to put all your classic movies or camcorder recordings, right onto your iPhone or iPad. As the sound and image have been perfectly optimized, so that's how does AnyTrans excel to give you the best visual experience. Always put your photos in the right place - Use AnyTrans to enrich or simplify your photo library with a big window and only your favorite photos. It's the most comfort way to organize, enjoy and share the moments you snapped. 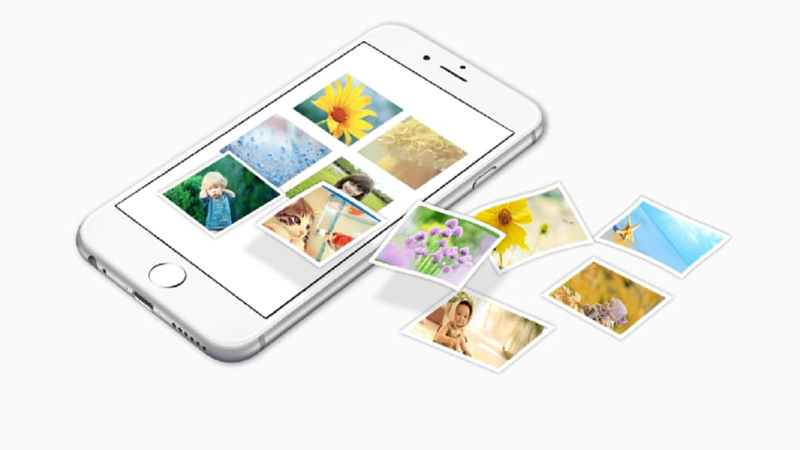 Imagine that, through just few clicks, you'll be able to transfer thousands of photos or even your entire library between iPhone, iPad and computer, all at once. Backup & clone not only your apps, but also everything inside - It's a neat interface, handy options, and many behind-the-scene technologies. Let the best music management experience happen inside of you - Giving you the best iPhone music sharing and management experience is what the new AnyTrans made for. 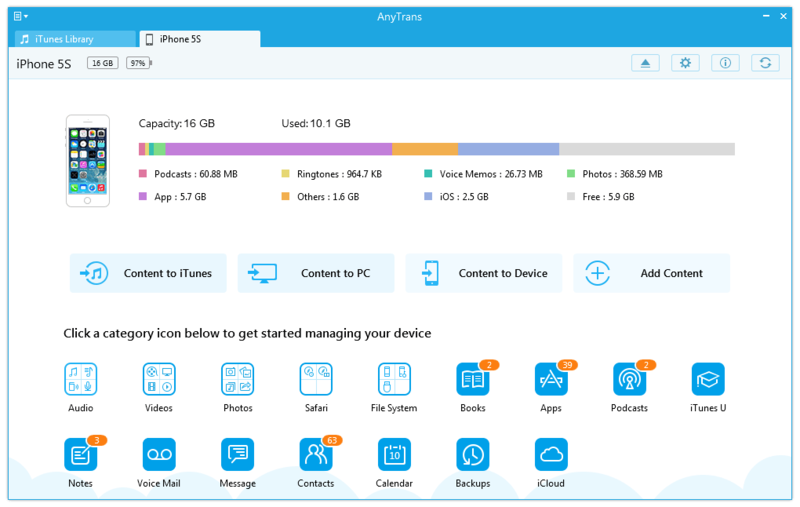 Ultra-modern design, super-fast music syncing speed, along with a nature of made-only-for-Apple-device, AnyTrans opens up a completely new path to manage your iPhone, iPad, iPod and iTunes media content in a way you even think impossible. Best iTunes alternative, ever. Easy enough for a novice to use. Added features that iTunes missed, and worked seamlessly. Great iTunes alternative. Transferred over 500 photos in just 2 minutes. FAB!!! Just gets everything transfered, quickly. Easier than iTunes. RECOMMEND!. I never know this program before, but my friend told me this one is great. So, I try this one, and I love it. Easy than iTunes. Really RECOMMEND! The Phone Clone feature is worth to try.. It is a very nice tool.now i have full control over my iphone with it and i can say goodbye to itunes. with its Phone Clone i have transfers all my data in the old iphone 5 to my iphone 6s smoothly. Good job,guys. Phone Clone and phone merge. easy to use, no itunes limit, transfer text message between iphones. What do you think about AnyTrans? Do you recommend it? Why?